The American Library Association (ALA) is joining forces with the W.K. Kellogg Foundation's (WKKF) Truth, Racial Healing and Transformation (TRHT) enterprise to engage our member community in racial healing as an opportunity to broaden and deepen our personal and joint commitment to social justice in equity, diversity, and inclusion. Read our Proclamation. The National Day of Racial Healing (NDORH) is an opportunity for people, organizations and communities across the United States to call for racial healing, bring people together in their common humanity and take collective action to create a more just and equitable world. 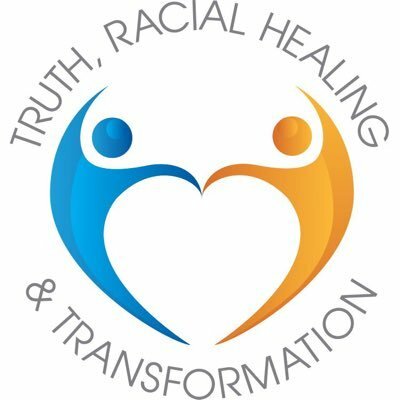 January 22, 2019 will be the third annual National Day of Racial Healing. The day was established in 2017 by more than 550 leaders from around the United States who wanted to set aside a day to take action together. The past two years have been particularly hard on communities of color, American Indians, the GLBT community, women, immigrants, and people with marginalized identities. As a profession, library workers are accustomed to advocating for these communities on the local and national level. Although that will continue to be a major focus, ALA is asking that our members also be mindful of their whole selves and own identities as we continue our public and honest conversations around equity, diversity, and inclusion within the association. Within the profession and within the association, we too are part of these communities. What steps can library workers with privilege take to support colleagues of color? What actions have you taken to you explore your unconscious bias? If you're looking for ways to get started, consider taking an Implicit Association Test Library workers, what workplace practices have you encountered or engaged in that reinforce inequity? Commit to engaging people from all racial, ethnic, religious and identity groups in genuine efforts to increase understanding, communication, caring and respect for one another. The American Library Association (ALA) is a proud partner with the W.K. Kellogg Foundation, through the Truth, Racial healing, and Transformation (TRHT) Enterprise. For more information, please contact the ALA Office for Diversity, Literacy and Outreach Services at diversity@ala.org or call 800-545-2433, ext. 4294.